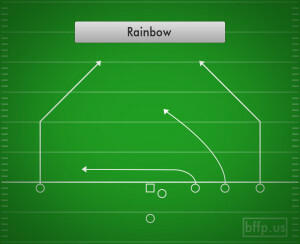 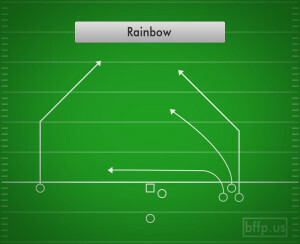 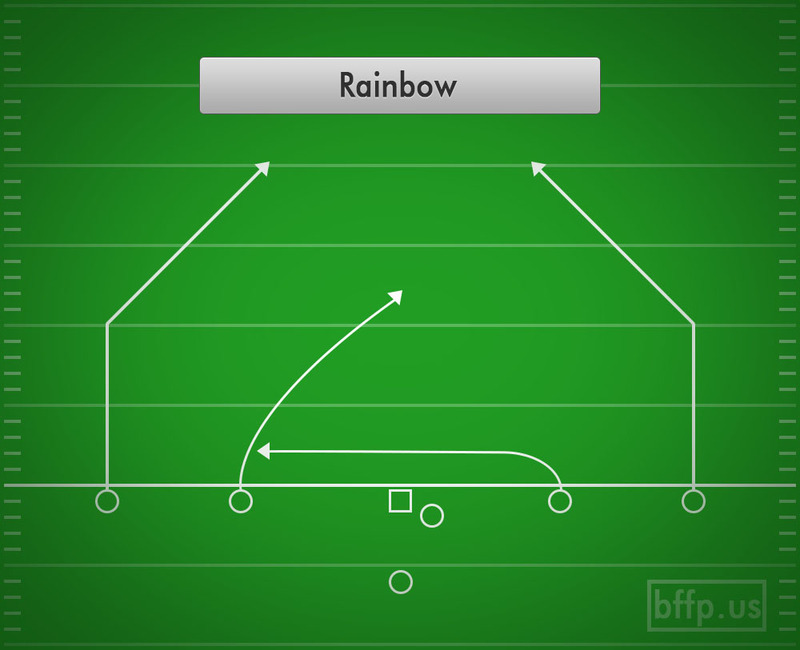 The Rainbow play allows the Wide Receivers to attack the defense by running arcs all across the middle of the field. 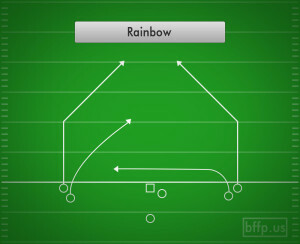 Each arc is run at a different level of the defense, therefore, combining to create a Rainbow of manly intensity. 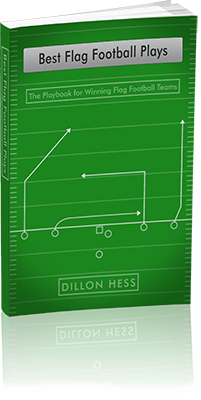 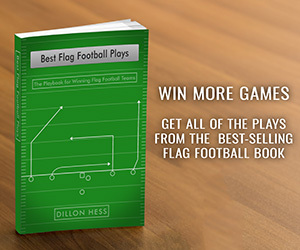 The Quarterback can choose to either read the arcs from low to high, or progress from high to low. 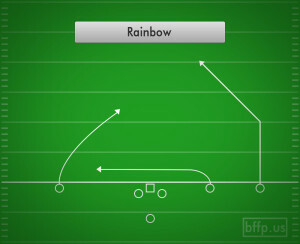 Finding at least one open man in the Rainbow should be easy with so many routes hitting different levels in the middle of the field.